Former Gallon Measure station, sent by Jeff Alterman. 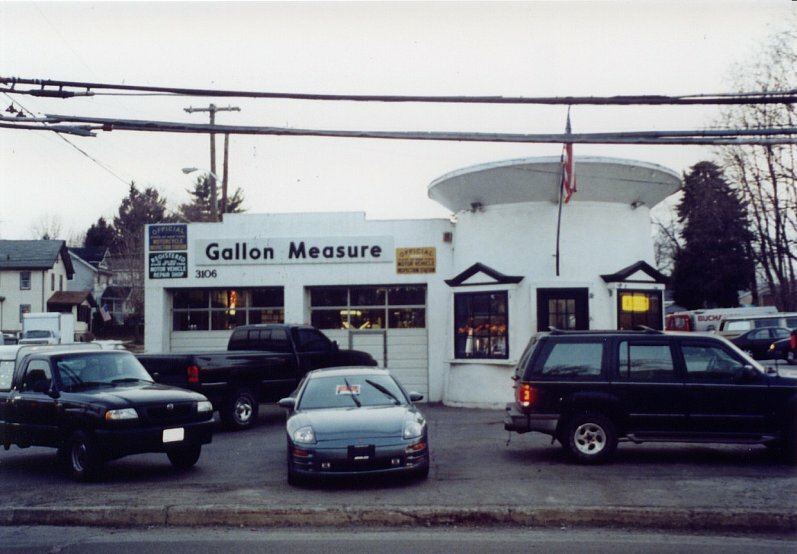 This is a photo of a former gas station named "Gallon Measure" service station. It is at the corner of Albany Post Rd. (NY 9A) and Rockledge Ave. in Buchanan, New York. I took the picture on March 19, 2005. I'm not sure what brand(s) it handled. The noteworthy feature of this station is the shape of a portion of the building.